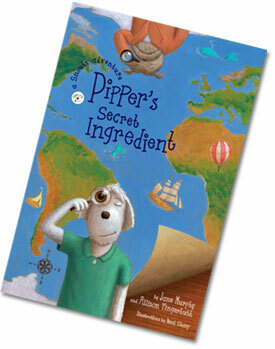 Pipper has endless suggestions for food festivals, food experiences in the city and in the country, and food museums to visit. She wanted us to be sure to mention the New York Food Museum. She thinks New York Food Museum is tops because it has its own Pickle Wing. One of its present exhibits is “How New York Ate 100 Years Ago.” You can go on their site to read all about what’s going on there. By the way, Pipper said to tell you that the museum is on the Lower East Side, not far from Katz’s Deli where Pipper met up with Emcee Beagle and Jack Russell. Have you visited a food museum you’d like to tell us about? Please share in comments.